In the first of a new series of posts looking at some of the charities and caring individuals doing great work in our city, we meet Debra Webb from the Share charity, which supports homeless people and refugees. Share operate a shop and cafe on Northgate Street and have also run a popular drop-in centre further up Northgate Street, where crucial supplies such as dry clothes, sanitary products and toothbrushes were offered to homeless people, along with food and hot drinks. They have now joined forces with Cheshire West and Chester Council’s partner Forfutures to offer a range of services at support and assessment centre Hamilton House in Hamilton Place, which operates 24/7. We visited the Share shop and drop in centre on Northgate Street before the move to Hamilton House and it was evident that everyone working for Share had a real passion for supporting both homeless people in and around our city and at its base in Mold in Flintshire, as well as supporting refugees across the world. While we were there we saw a number of homeless people popping in for a chat and a bite to eat, including sandwiches and lunch bags which could be eaten in the shop or taken away. There was also a chance to pick up vital supplies such as dry clothes and sanitary products – crucial items when you’re sleeping rough and waking up in wet clothes. We spoke to the chair of the board of Share trustees, Debra Webb, who has been involved with the charity since it was set up in 2015. She praised the generosity of the people and various businesses in Cheshire and Flintshire for their donations which have enabled Share to do its important work. She explained that in addition to its work supporting homeless people, Share also support refugees, sending containers of aid across the world. They are aiming to move towards sourcing this aid in the countries where it is needed so as to reduce their carbon footprint. Debra said: “Homelessness is a national problem and the number of homeless people has gone up exponentially across the UK. We are also seeing people on the streets with significant mental health problems. We are also seeing increasing numbers of young people. There are a lot of factors at play here, including a lack of mental health services and universal credit is also a factor, along with the level of affordable housing. “I think the success of Share is really the fact that people wanted to help and didn’t know how and Share has given people an avenue to help. People are cautious of approaching homeless individuals and many were not sure of the right thing to do. I used to walk past and wish I knew how to help. Share relies on the dedication and hard work of around 100 volunteers, along with five trustees. There are no paid operational managers. 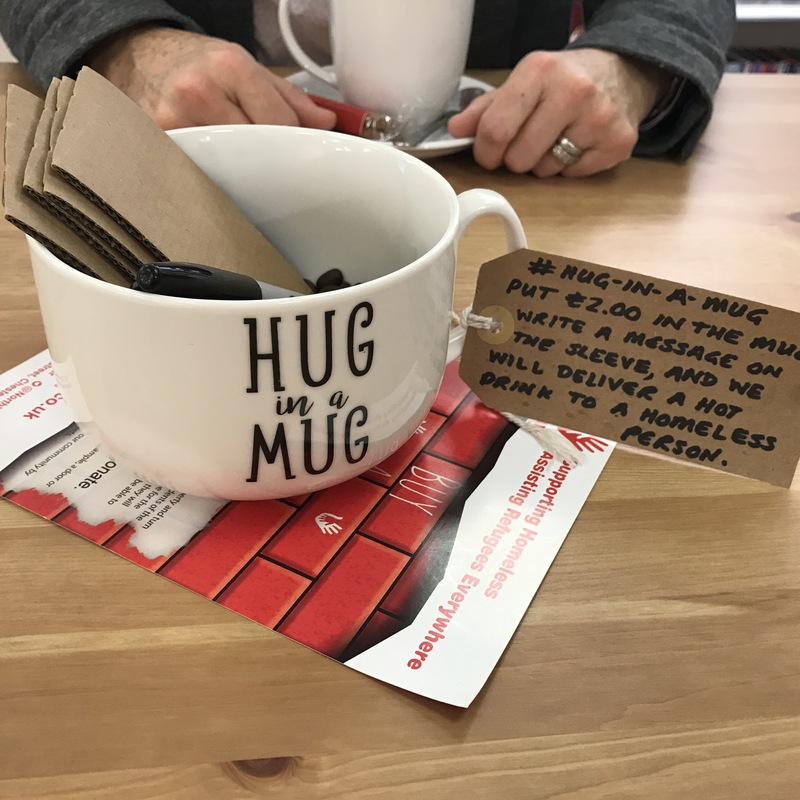 It also operates a suspended coffee and sandwich scheme, where people can donate £2, which will then pay for hot drinks or sandwiches to be given out to homeless people by Share. Share also operates an invaluable outreach service, which will go out and deliver aid, including food and hot drinks. Donations for a suspended coffee or sandwich can be made via the Share shop and cafe on Northgate Street or online. Share are always on the look out for volunteers in Mold and Chester. If this sounds of interest, they can be contacted via their website shareaid.co.uk or by calling +(44) 07742534191 or emailing info@shareaid.co.uk.